Amazon’s seller network is its biggest strength, and the company makes sure to prioritise and strengthen the relationship with its seller community. Amazon connected with Vibgyor yet again, to curate an event that brings the seller community closer to Amazon’s top management, to make them feel part of the family and bridge the gap between the sellers and the company’s leadership- Amazon Connect. Vibgyor created customised engagement zones to highlight six different benefits that Amazon provides to its sellers, which are all unique and industry firsts. An animated storyboard was created which took the seller through his own journey from being a small shopkeeper to an amazon certified retailer. All the challenges that came across the way were demonstrated in a very identifiable manner highlighting to the seller his journey so far. The event had a spectacular stage, backdrop, registration desk and other branding elements. A seller-friendly digital application was created which had all the details related to the event. The app was a great communication tool to re-target and engage the sellers with regular updates and messages. Unique digital elements/engagements such as Photo boxy booths and twitter walls were set up for social media amplification. There was an R&R awards ceremony to acknowledge and encourage the sellers. 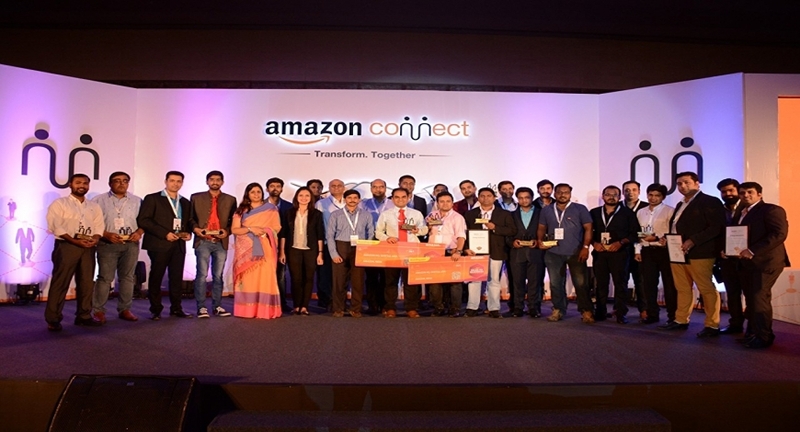 Amazon Connect not just targeted at one particular city, but broadcasted to sellers from pan-India, to broaden their e-commerce knowledge and educate them further with the sessions. “Connect is a unique platform created by Amazon to get all its sellers to learn, grow and benefit from the company’s new offerings. It has grown and evolved over the past 2 years and Vibgyor is proud to be associated with it from its very first edition”, said Ankur Kalra, CEO & Founder Vibgyor.